Rose Virginia Cirelli, of Doylestown, passed away on Thursday, April 4, 2019 at Pine Run Health Center, Doylestown. She was 94 years old. 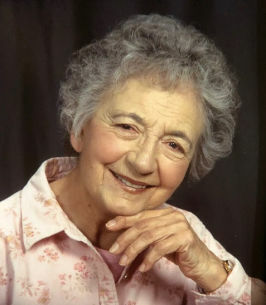 Rose was the beloved wife of the late Philip Cirelli. Born in Union City, NJ, she was a daughter of the late John and Lena Marini. Rose was employed as a registered nurse serving at different hospitals throughout her career, but ending her nursing career at Lyons Veteran Hospital in Lyons, NJ. Rose is survived by a son, Philip Cirelli (Martha); two daughters, Juliann Ehrhart (William), Donna Scaccio; 9 grandchildren; 12 great grandchildren; and 2 sisters, Gloria Leber and Nelda Brickner. Rose’s funeral service and interment will be private at the convenience of the family. In lieu of flowers, memorial contributions may be made in Rose’s honor to the Alzheimer’s Association, https://www.alz.org/nca/donate. We encourage you to share any memorable photos or stories about Rose Virginia. All tributes placed on and purchased through this memorial website will remain on in perpetuity for future generations.